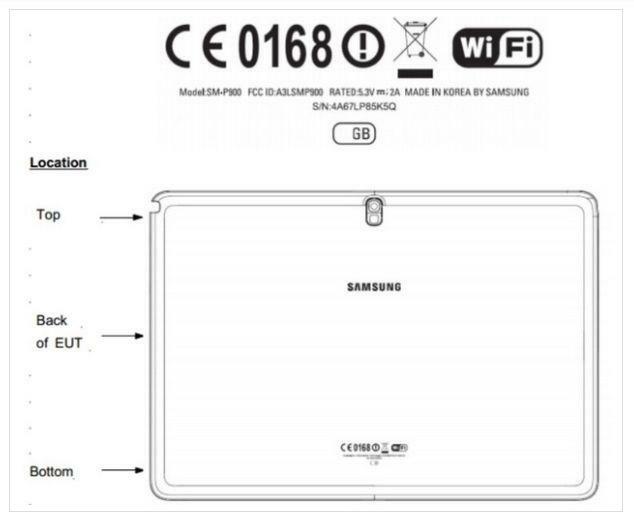 Samsung’s 12.2-inch Galaxy Note tablet was spotted in an FCC filing today, all but confirming the oversized Android slate is on its way. We’ve already seen the device twice over at the Bluetooth Special Interest Group (SIG) certification site and even @evleaks threw his support behind the rumors. Based on previous reports, the Galaxy Note 12.2 is expected to pack a 12.2-inch 2560 x 1600-pixel display, 3GB of RAM, an S Pen stylus, and either a Qualcomm Snapdragon 800 processor or Exynos 5 processor depending on the model. It’s unclear whether the device will run Android 4.3 or 4.4 out of the box. Earlier today we reported on a rumor that Samsung was gearing up to rain down tablets on us next year in an effort to overtake Apple’s market share. It’s looking like part of that plan will be a new line of oversized tablets, with a 13.3-inch model in the works as well. Has Samsung gone crazy or will its latest product be a success? Only time will tell.